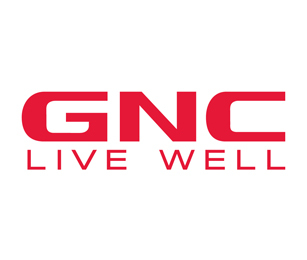 Subscribe to get deals from hundreds of merchants including the best of GNC! Offers are valid for payment made with Citi Credit cards.. Offers are valid till 30 June 2020.. The offer of 35% off first item purchase applies with sign-up of complimentary 2-year GNC VIP membership. Offer applies to cardmembers who are not existing GNC VIP members and are of age of 18 years old & above. VIP membership is non-transferrable. Membership discounts/offers shall not be used in conjunction with other discounts/privilege cards and vouchers. Bonus$ earned are valid till 31 December the following year or when the VIP membership expires, whichever is earlier. Bonus$ not redeemed during such a period will be deemed as forfeited. Bonus$ are strictly not exchangeable for cash and may not be transferred to another party.. Citibank's decision on all matters relating to the Promotion will be determined at its reasonable discretion and is final and binding on all participants.. Citibank shall not be responsible for the quality, merchantability or the fitness for any purpose or any other aspect of the products and/or services provided by third parties and Citibank shall not at any time be responsible or held liable for any loss, injury, damage or harm suffered by or in connection with the products and/or services provided by third parties. All disputes about quality or performance of the products and/or services shall be resolved directly with GNC.. Citibank and GNC reserve the right, at their reasonable discretion, to vary, add to or delete the Promotion terms and/or terminate the Promotion at any time.. "Citibank" refers to Citibank Singapore Limited and "GNC" refers to Oni Global Pte Ltd.. Please always check with the merchant on the validity of the promotion before purchase. Offers are valid for payment made with Citi Credit cards. Offers are valid till 30 June 2020. The offer of 35% off first item purchase applies with sign-up of complimentary 2-year GNC VIP membership. Offer applies to cardmembers who are not existing GNC VIP members and are of age of 18 years old & above. VIP membership is non-transferrable. Membership discounts/offers shall not be used in conjunction with other discounts/privilege cards and vouchers. Bonus$ earned are valid till 31 December the following year or when the VIP membership expires, whichever is earlier. Bonus$ not redeemed during such a period will be deemed as forfeited. Bonus$ are strictly not exchangeable for cash and may not be transferred to another party. Citibank shall not be responsible for the quality, merchantability or the fitness for any purpose or any other aspect of the products and/or services provided by third parties and Citibank shall not at any time be responsible or held liable for any loss, injury, damage or harm suffered by or in connection with the products and/or services provided by third parties. All disputes about quality or performance of the products and/or services shall be resolved directly with GNC. Citibank and GNC reserve the right, at their reasonable discretion, to vary, add to or delete the Promotion terms and/or terminate the Promotion at any time. "Citibank" refers to Citibank Singapore Limited and "GNC" refers to Oni Global Pte Ltd.
Offers are valid for payment made with Citi Credit cards.. Offers are valid till 30 June 2020.. Offer is not applicable on food and net-priced items and shall not be used in conjunction with VIP discounts and other discounts/privilege cards and vouchers not otherwise specified.. Citibank's decision on all matters relating to the Promotion will be determined at its reasonable discretion and is final and binding on all participants.. Citibank shall not be responsible for the quality, merchantability or the fitness for any purpose or any other aspect of the products and/or services provided by third parties and Citibank shall not at any time be responsible or held liable for any loss, injury, damage or harm suffered by or in connection with the products and/or services provided by third parties. All disputes about quality or performance of the products and/or services shall be resolved directly with GNC.. Citibank and GNC reserve the right, at their reasonable discretion, to vary, add to or delete the Promotion terms and/or terminate the Promotion at any time.. "Citibank" refers to Citibank Singapore Limited and "GNC" refers to Oni Global Pte Ltd.. Please always check with the merchant on the validity of the promotion before purchase. Offer is not applicable on food and net-priced items and shall not be used in conjunction with VIP discounts and other discounts/privilege cards and vouchers not otherwise specified. Valid till 31 December 2019. PAssion Card / PAssion e-Card must be presented upon payment. Not valid with any other promotions, VIP privileges, discount cards or vouchers. Excludes foodstuff and nett-priced items. The management reserves the right to amend the terms and conditions without prior notice. Please always check with the merchant on the validity of the promotion before purchase. Valid till 31 Dec 2019. Please present valid SAFRA card or 11B in person upon ordering or purchasing of product(s).. Discount privilege excludes food items, nett-priced items and special discounted items.. Not valid with ongoing promotions, VIP privileges, discount cards and vouchers.. Excludes foodstuff and selected items.. SAFRA card must be presented prior to payment.. Valid at all GNC stores in Singapore.. Please always check with the merchant on the validity of the promotion before purchase. Please present valid SAFRA card or 11B in person upon ordering or purchasing of product(s). Discount privilege excludes food items, nett-priced items and special discounted items. Excludes foodstuff and selected items. SAFRA card must be presented prior to payment. Valid at all GNC stores in Singapore. Valid till 31 Dec 2019. Not applicable for foodstuff and nett-priced items. General terms and conditions apply.. Please always check with the merchant on the validity of the promotion before purchase. Valid till 31 Dec 2019. Not applicable for foodstuff and nett-priced items. General terms and conditions apply. Not valid with ongoing promotions, VIP privileges, discount cards & vouchers. Not applicable for nett priced-items such as foodstuff.. Privileges are available when payment is made with the American Express® Card, including American Express Corporate Cards and American Express Cards issued in Singapore by DBS Bank Limited, United Overseas Bank Limited and Citibank Singapore Limited. Prices listed may be subject to service charge and prevailing government taxes where applicable. Privileges cannot be exchanged for cash or used in conjunction with other promotional programmes, offers, discount cards, vouchers or VIP privileges, unless otherwise stated. Merchantsí terms and conditions apply - please check with respective stores for details. American Express acts solely as a payment provider and is not responsible or liable in the event that such services, activities or benefits are not provided or fulfilled by the merchant. Card Members acknowledge that any disputes in relation to the above are to be directed solely to the merchant providing such services, activities or benefits. American Express International, Inc. is not responsible for the endorsement of any service or product featured. Merchants are solely responsible for the fulfilment of all privileges. American Express International, Inc. and the business establishments reserve the right to change the terms and conditions at any time without prior notice. All information is correct at the time of print. Visit amexnetwork.com.sg for more details.. Please always check with the merchant on the validity of the promotion before purchase.